-Yes! Poly mailers are definitely recyclable. Unfortunately, much of the polyethylene material we use daily ends up in landfills simply because many of us do not know that it is recyclable. Not only that, but we don’t know how to recycle these types of plastics. Most communities do not accept poly bags through their curbside recycling programs because they are difficult to sort out at the facilities and can damage machines. Instead, many retail stores and recycling centers are available as drop-offs for plastics that are difficult to recycle. To find your nearest drop-off, use your zip code http://blog.aplasticbag.com/alleenstaande-vaders-dating/ ! Can you reuse poly mailers? -Definitely! Poly mailers with tear strips are reusable at least once after their initial use. Tear strips allow the mailers to be easily opened without tearing or ripping holes in the bag. Also, some poly mailers have a second adhesive tear strip for reuse. Furthermore, these can be of use to seal returned product from customers if need be. Best place to buy poly mailers? -You can usually find plain stock poly mailers at your local shipping supply store or online. However, to get the most out of your shipping experience, we recommend using custom printed poly mailers. In this case, add your logo, slogan, or custom design to make your packages instantly recognizable. How much do poly mailers cost? -Generally speaking, the cost of mailers varies on size, quality and quantity. As a result, you may be able to find low quality mailers for cheaper prices. However, we highly recommend purchasing quality mailers that will protect your product and safely deliver them to their destination. In addition, the cost will be well worth it as it is very important to invest in packaging that stands out among the rest. In fact, like many facilities, we offer significant price discounts for higher quantity orders! Are poly mailers the best way to ship clothes by mail? -Yes, poly mailers are the most practical and inexpensive way to ship clothing items. If you have sold these items, it is important to pack them neatly and professionally as the packaging will be the first impression on your customer. How much does it cost to ship poly mailers? -Poly mailers are usually the most cost effective ship method because they are so lightweight. In addition, poly mailers will save you money on inbound and outbound shipping. USPS First Class Mail for example, has pricing that starts at $0.49 for lightweight envelopes that are under 13 oz. How do you ship out poly mailers? -To begin with, make sure your items are secure within the poly mailer, adding padding around the sides if necessary to minimize the movement inside and prevent damage. Next, take the mailer to the post office to calculate shipping costs or generate a label yourself online after recording the length, width, and height. You can either drop off or schedule a pick up for your package. How to print on poly mailers? –Custom printing on your poly mailers is easier than you think! In case of large quantities, they are printed during production while smaller quantities are post printed. However, there may be some restrictions on post-production printing. Simply head on over to our website and click “Request Quote”. A prompt will appear to provide your contact information as well as a description of what you would like on the mailer. Once we receive your artwork and approval, your custom printed poly mailers will be on their way! Is a poly mailer considered an envelope? -Using USPS, a poly mailer can either be a package or large envelope depending on its dimensions. When should I consider a lined or bubble poly mailer? 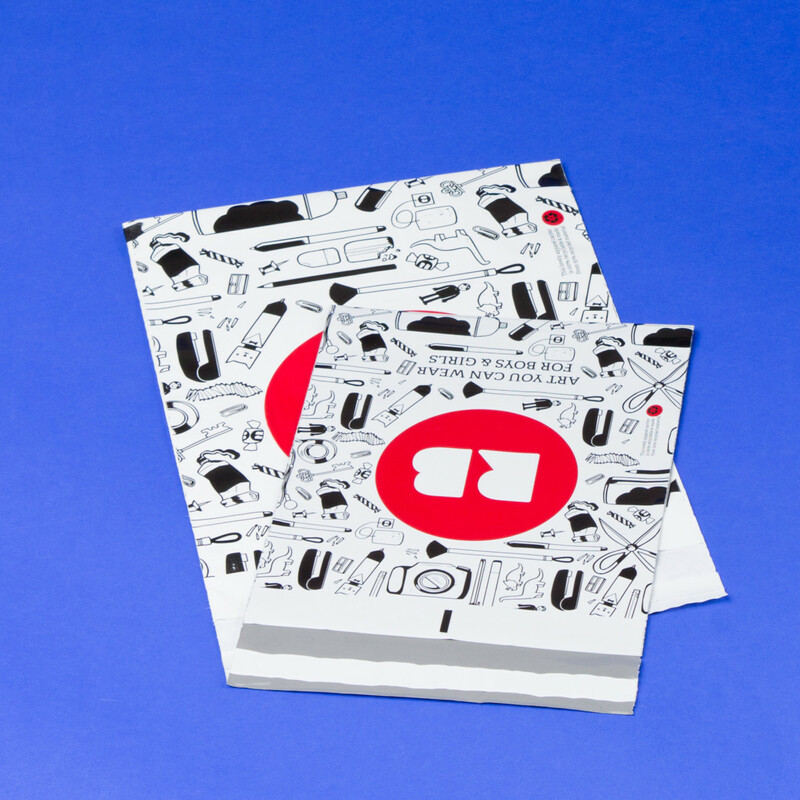 -Ideally, your product should completely fill the mailer completely to prevent damage. Because of this, some businesses choose bubble mailers in order to do so. These mailers can either be kraft or poly material and are lined with plastic bubble wrap padding. This not only protects your item during shipment but also allows the mailers to keep their shape. You can also use liner for your mailers by placing product in clear poly bags or wrapping in packaging paper. Kraft vs. poly bubble mailers? 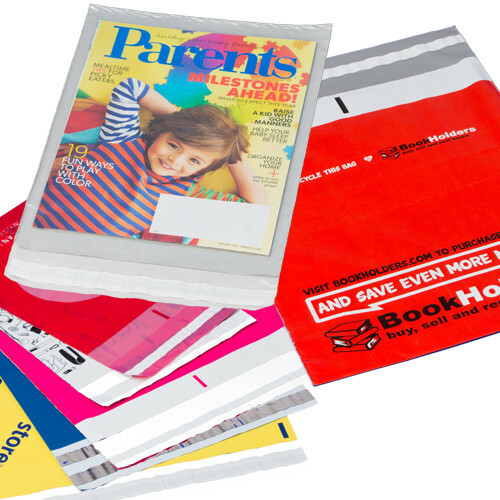 -There are several things that differentiate kraft mailers from poly bubble mailers. For one thing, color. In general, kraft mailers have a “natural” look, which may make them ideal for eco-friendly brands. Colors printed on golden brown kraft mailers will look slightly dull and muted, slightly less so on white kraft mailers. On the other hand, poly bubble mailers have a cleaner, crisper look with colors showing up bright and vibrant on the white poly. The second difference would be recyclability. Although the “natural” paper look may appeal to eco-friendly brands, kraft bubble mailers contain plastic “bubble” inside needs to be separate from the paper in order to be recycled. Poly bubble mailers are recyclable as-is. The third factor that differs between poly and kraft bubble mailers is that poly is moisture resistant while kraft paper is not. What are poly mailers used for? -In general, poly mailers are great for shipping fairly lightweight and non-fragile items, mainly clothing. In addition to apparel, poly mailers are also ideal for fabrics and yarns, art and prints, shoes, and accessories. How do I find the right size poly mailer for my product? In the long run, poly mailers are a great, economical shipping option. With the ability to be customized, they can also be a very powerful marketing tool. Next Next post: Which Imprint Process is Right For Your Business?